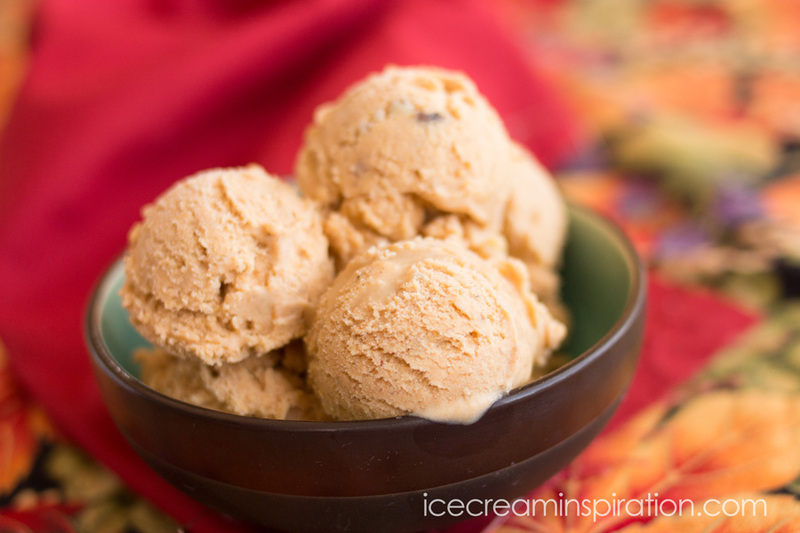 Ever since developing my Pumpkin Pie Ice Cream recipe, my mind has been spinning with all the variations I could make. This incarnation takes out the pie crust and replaces it with smooth caramel and crunchy walnuts. You can either just use plain walnuts, or you can make candied walnuts. You can also either use pumpkin from a can, or make your own pumpkin puree. For the caramel, you can make Caramel Sauce for Ice Cream with a Secret Ingredient, or The Easiest Caramel Sauce Ever (which is what I used for this recipe). In a pinch, you can also use commercial caramel ice cream topping. 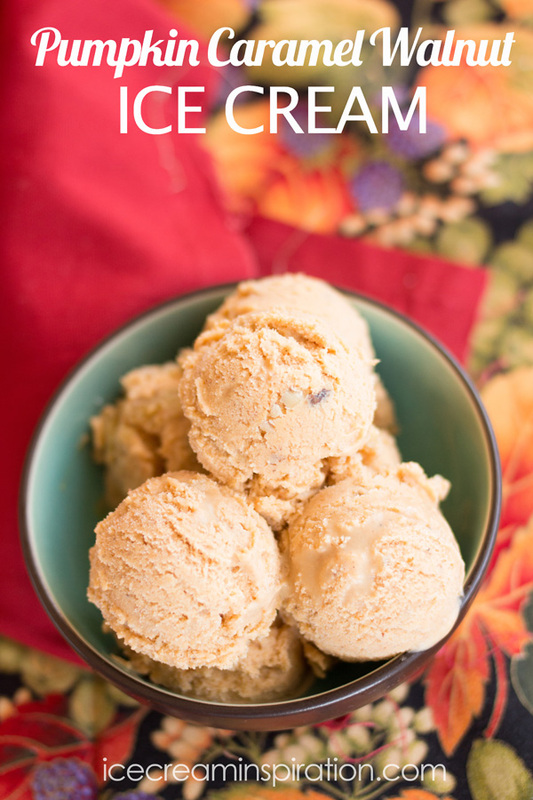 This ice cream takes a little prep time (especially if you make your own pumpkin puree and caramel) but it is so worth it! You’ll need to chill the mixture before adding it to your ice cream maker, so you may consider starting this ice cream a day or two before you plan to eat it. Health Benefits of Ingredients: (Please see the Disclaimer and The Shocking Truth About Ice Cream). Pure Vanilla activates chemicals in the brain that reduce inflammation and improve mental performance. (See “Using Vanilla to Increase Your Mental Performance“). Cinnamon may help fight fungal infections, diabetes, help prevent Alzheimer’s Disease, and lower the negative effects of high-fat meals. (See “Cinnamon: Health Benefits, Research, Risks“). Ginger has been shown to relieve gastrointestinal irritation, relieve nausea and vomiting, reduce menstrual pain, and reduce inflammation. (See “Ginger: Health Benefits and Nutritional Information“). Cloves have the highest anti-oxidant properties of any spice. (See “Cloves Are the Best Natural Antioxidant“). Nutmeg is good for your brain, helping to eliminate fatigue and stress and improve concentration. It is also good for oral health because of its antibacterial properties. Nutmeg has also been shown to help prevent and dissolve kidney stones. (See “7 Health Benefits Nutmeg Provides“). Allspice has anti-inflammatory properties and is used to treat gastro-intestinal distress such as indigestion, abdominal pain, diarrhea. It is also used for dental health to kill germs on teeth and gums and to reduce the pain from toothache. (See “Allspice: Uses, Side Effects, Interactions, and Warnings“). Walnuts contain the highest level of antioxidants of any type of tree nut. They also have a lesser-known type of vitamin E which provides protection from heart problems. (See “Plain Nuts: Walnuts Are Tops for Your Diet Overall“). I recommend the Cuisinart 1.5-qt. Frozen Yogurt-Ice Cream & Sorbet Maker. Bring cup of milk to room temperature, or warm in microwave. Add sugar and stir until sugar is dissolved. Add the rest of the ingredients (except the caramel and walnuts) and mix well. Put in refrigerator to chill for about three hours, or overnight. Pour into your ice cream maker and follow the manufacturer's directions. Transfer to an airtight container, and fold in walnuts and caramel. Then put in freezer to harden. Optional: When ready to serve, top with a dollop of whipped cream. 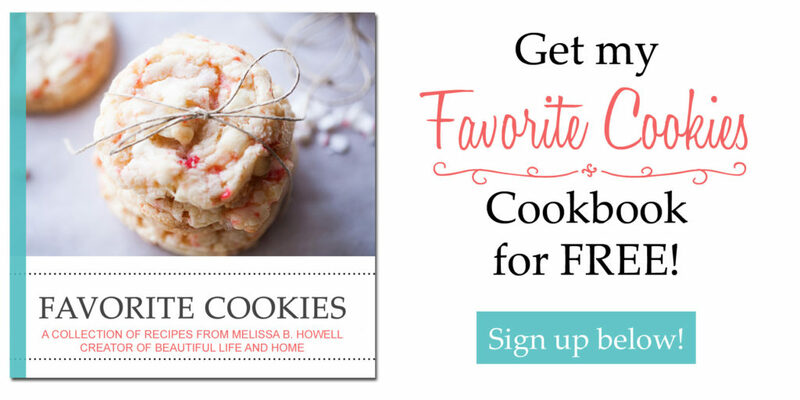 If your ice cream maker makes 1.5 quarts or less, you will need to make this ice cream in two batches. Just pour half the mixture into your ice cream maker. When it reaches soft-serve consistency, remove it and pour the other half of the mixture in. It will take a little longer to freeze than the first batch. So much to love! What gorgeous flavours going on here! Lovely Melissa.